Sanjay Mirchandani, CEO of software vendor Puppet, says DevOps helped him as CIO of EMC, where he led a tech transformation. If agile software development has become the hare to waterfall's tortoise, what does that make DevOps? Answer: A much misunderstood methodology that many believe is simply a way to build software faster. Executed well, DevOps certainly does that, but Sanjay Mirchandani, CEO of DevOps tool provider Puppet, says it’s also a cultural shift that has CIOs rethinking how they must deliver technology services that best serve employees and customers. It's increasingly becoming a requirement in corporate digital transformations, says Mirchandani, a former CIO who oversaw the shift toward DevOps at storage giant EMC. Sanjay Mirchandani, CEO of Puppet. "You can be an airline, or a consumer packaged goods company or a supermarket -- it doesn't matter," says Mirchandani whose company makes configuration management software that automates software provisioning. "Every [industry] is going through this journey of evolving into finding ways to deliver products and services. DevOps is considered the how." Banks, retailers and enterprises from several other industries have made significant strides overhauling their development models in the DevOps vein, which involves streamlining development and operational processes that were traditionally performed independently. To achieve this, organizations are automating capabilities such assoftware testing, infrastructure and deployment, accelerating the pace with which applications move into production. In DevOps, software requiring refinement can be easily rolled back into pre-production for corrections. The current DevOps movement was preceded by the agile development movement, a departure from the classic waterfall method. In waterfall, the business writes the software project requirements, hands them off to IT and waits several months for the completed product. Conversely, agile requires close collaboration between IT and business staff, who build software together in sprints that last weeks. Waterfall follows stringent processes while agile allows for flexibility in requirements, better aligning what is expected and what is delivered. But agile is not the answer for everything. Organizations that embrace it sometimes find themselves bogged down as requirements get lost in translation, as Mirchandani learned in his role as EMC’s CIO from 2008 to 2013. "As CIO I would agree with my business counterpart on a technology, direction, approach or a certain requirement, but when it went down the food chain it got distorted," Mirchandani says. "It wasn't the same level of agility or set of requirements and everyone fell into processes. Everybody meant well and tried to do their job well but it wasn't solving the business problem with the speed in which we needed it." DevOps further shrinks application delivery from weeks to days or even hours and minutes, enabling speed and efficiency in testing, configuration and deployment. 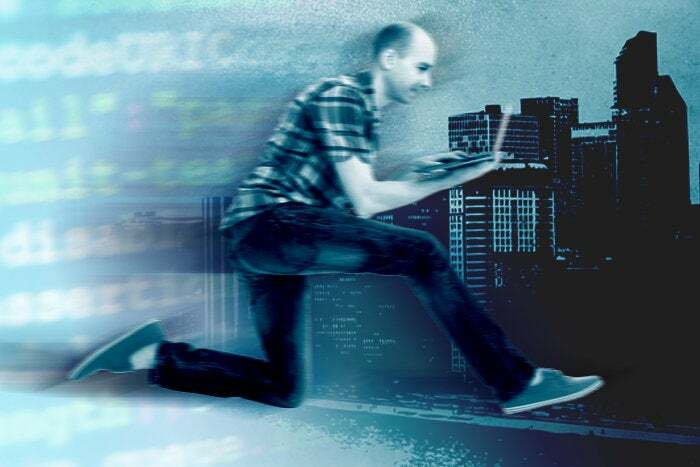 Such agility makes DevOps an optimal approach to digital transformations -- but only if the CIO leads the way and insists that IT staffers follow. Such efforts are well underway at organizations ranging from Capital One and Fannie Mae to Wal-Mart and Target. According to Puppet’s 2016 State of DevOps report, high-performing organizations deploy 200 times more frequently, with 2,555 times faster lead times, recover 24 times faster, and have three times lower change failure rates as lower-performing companies. In 2008, , EMC CEO Joe Tucci asked Mirchandani, who was working as COO of the company's global centers of excellence to assume the CIO role. Mirchandani recalls the request a bit of a head-scratcher. In previous roles at EMC and Microsoft, Mirchandani consulted IT, sold to IT and consumed services from IT -- but never worked in IT himself. This is how Tucci sold it to him: "You've been a customer and you've always put yourself into the shoes of the customer. I want you to take what we do inside of EMC IT and deliver it to our customers." Mirchandani approached it like a business service, working out what his profit and loss statements would look like, gauging how long it would take to respond to an internal customer proposal. He asked himself” How would he sell IT to EMC's 53,000 employees? "We worked to be a broker of services as opposed to being a gatekeeper of services," Mirchandani says. "Build, buy, partner... it shouldn't matter as long as we get the best value in the quickest way for our customers keeping on track with what is strategic for the company." EMC’s IT department embraced DevOps to reduce single points of failure and quicken application deployment. He installed cybersecurity practitioners alongside scrum development teams to ensure data protection was built into each application and architecture roadmap. Meanwhile, he retained his responsibility running EMC's global centers of excellence. Operating IT and a separate business line was the single best experience he could have as preparation to becoming a CEO, Mirchandani says. Now, as Puppet's CEO, Mirchandani says he talks frequently with CIOs about how they can future-proof their organizations using DevOps and associated tools – issues he wrangled when he was a CIO. "I was exposed to every single business at the highest levels," Mirchandani says. "When you have that ringside seat you are more in tune with the bigger pieces of the business because you're helping them build and deploy capabilities and stay competitive."